In order to have a local development server on my Windows 10 machine, I recently installed EasyPHP DevServer edition v16.1.1. I wanted to make some design changes to my WordPress site without worrying I would break a live site. It all went pretty well until I tried to import a backup of the site’s database using phpMyAdmin module included with EasyPHP. The Import gave me a SQL syntax error. In the end, I needed to update phpMyAdmin to newest version to make it work, but that was not as straightforward as I thought it would be. In this article, I will show you how to do that for EasyPHP. The SQL error message didn’t give me much information why the import of the backup would fail so I tried to use different WordPress Backup Plugin but I got the same result. After looking for answers on the web I stumbled on this phpMyAdmin GitHub comment, that describes the same problem that I had. It turned out the error above is due to phpMyAdmin trying to process the import queries containing escaped characters. The bug was fixed with version 4.6.0, but in EasyPHP 16.1.1, the included version is 4.5.5.1. First, I tried to add new version of phpMyAdmin as a module by clicking on "add modules" button in EasyPHP Dashboard, but the button redirected me to EasyPHP Warehouse. This is a place to update and extend your Development environment, but unfortunately it is not free as you have to pay for it to use it. Next I tried to download the latest version directly from the phpMyAdmin website and extract it at the location where EasyPHP stores its version of phpMyAdmin, which is in the modules folder. But that didn’t work as the link to the new version was nowhere to be seen in the list of modules when I refreshed the EasyPHP dashboard. I tried to rename the folder, so the new version would match the name of the old version, but that also didn’t fix the issue. What finally worked was to move the folder of the new phpMyAdmin version to my working directory. I also copied the configuration file config.inc.php from the old version to the new location. As the new version was not added as a module, it will not appear under Modules in EasyPHP Dashboard, but you will have to go to working directory instead to access it. Note:For more detailed information on how to upgrade from the old version of phpMyAdmin, check its installation documentation page. With the new version of phpMyAdmin, database import of the backup worked without any issue. EasyPHP is a great way to run a web server on a local environment, but if you want to upgrade to the newest version of phpMyAdmin for whatever reason, you can either use EasyPHP Warehouse which is not free or you can simply get the latest version directly from the phpMyAdmin website and install it on your Working folder. "it will not appear under Modules in EasyPHP "
Just copy 'eds-module.php' from original phpmyadmin module to the new version folder. and correct the name of all 'folder' declarations. 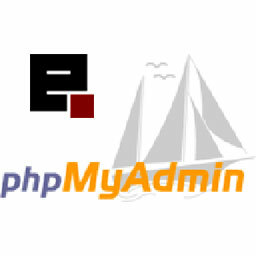 With this you have lasted phpmyadmin inside easyphp working fine.